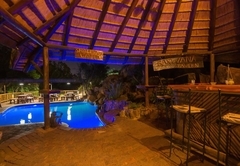 Best Country Lodge Accommodation in Randburg, Gauteng. 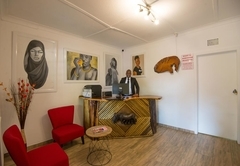 Amadwala Lodge is one of the highly recommended Honeydew guest houses and provides accommodation in 15 guest rooms for tourists visiting the Randburg region. 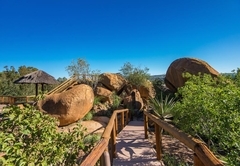 Amadwala means 'Place of the Rock' and is immersed in its 5.5 hectare bush environment. 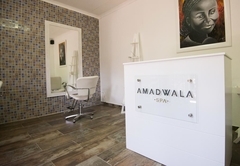 Within close proximity to Lanseria International Airport (30 minute drive) and an easy drive from OR Thambo International Airport (45 minute drive), Amadwala is a fitting choice for travellers as a base to explore Johannesburg and its surrounding attractions, or to simply unwind. 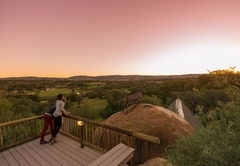 Amadwala Lodge is also an idyllic and fuss free getaway destination for local South Africans. 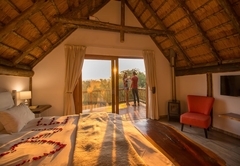 The many offerings open to our guests include comfortable accommodation, a decadent African fusion style restaurant, a welcoming bush bar and private boma venue ideal for private celebrations. 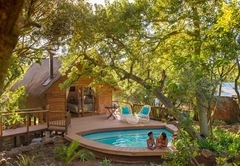 All rooms have private entrances, en-suite bathrooms, daily housekeeping and access to the pool. 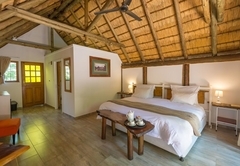 Chalets have TV's with Star Sat channels, free Wi-fi internet and complementary tea and coffee facilities in room. These are handsomely furnished with wooden character and flair. 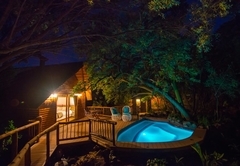 Each chalet sleeps two guests and boasts its own private veranda deck, an indulgent Jacuzzi bath and fireplace. 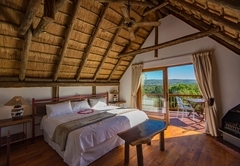 Absolute comfort comes standard with a stay in an Amadwala Lodge chalet, with crisp sheets and inviting bedding luring guests in. 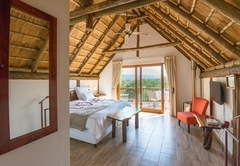 The setting, cosiness and hint of African decadence makes visitors want to stay forever. Chalet number 7 is particularly dreamy. 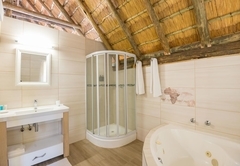 It has all the allure of the standard chalets with added charm. 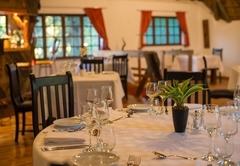 It oozes romance in its completely private setting. 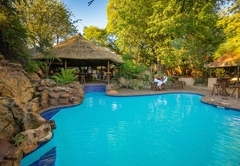 Its own private splash pool and secluded gardens with waterfall features falling into a pond are its shining features. 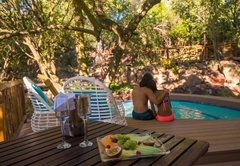 This chalet is the perfect choice for couples seeking a serene getaway together to celebrate a special occasion or to just unwind together in tranquility. 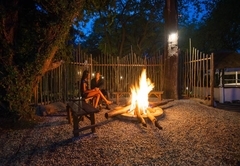 An authentically African safari accommodation type, these raised canvas tents each sleep two guests in comfort. 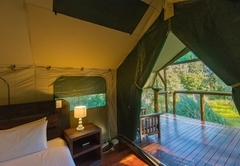 Each tent flaunts a private, en-suite bathroom, complete with a roomy shower as a favourite feature. The wooden decks enjoy views over the marshland, twittering with bird life. A full English breakfast is served each morning. 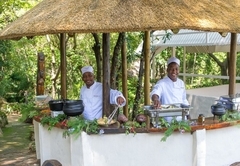 Dining at Amadwala is an African affair. 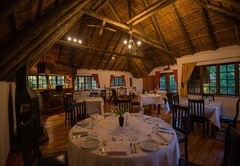 The fine, thatched restaurant offers indoor and outdoor dining settings to suit preferences and weather conditions. 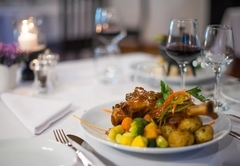 Creative and delicious African fusion meals are served with pride. 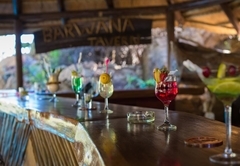 Enjoy a cocktail at the Barwana Bar, visit our intimate rock carved wine cellar, or simply relax on the wooden deck beside the sparkling rock pool. Getting around from here is not a problem. 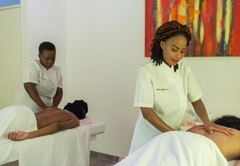 If anything you're perfectly placed to reach Lanseria Airport in minutes, whilst Sandton and OR Thambo International Airport is a couple of kilometres away. The other advantage is the proximity of the N1, which takes one anywhere in Johannesburg. These are handsomely furnished with wooden character and flair. 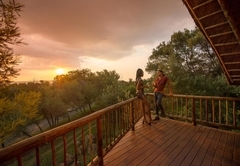 Each sleeps two guests and boasts its own private veranda deck. Handsomely furnished with wooden character and flair. 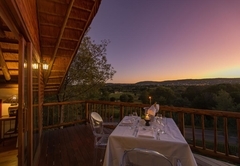 Each sleeps two guests and boasts its own private veranda deck. This Chalet is particularly dreamy with its own private splash pool and secluded gardens with waterfall features falling into a pond. 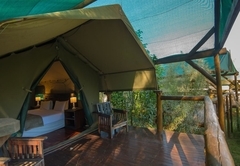 An authentically African safari accommodation type, these raised canvas tents each sleep two guests in comfort. 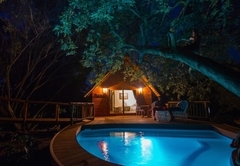 Each tent flaunts a private en-suite bathroom with shower. The wooden decks enjoy views over the marshland, twittering with birdlife. A very good accommodation choice, we were well looked after in a clean and friendly environment. I would recommend this to my family and friends. Very good. We already booked again. 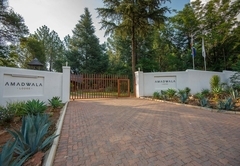 Response timeAmadwala Lodge typically responds to requests in 5-10 minutes.